What’s that book … the one book you reach for no matter what your day was like. You know … those pages that comfort you like a cozy warm blanket. The one you choose when the day was dismal, or even when the day was practically perfect in every way. 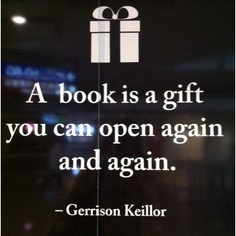 Tell us about YOUR favorite book. Is it a romance, a mystery, a fairytale … or maybe a series that touched your life, or your heart in some special way. Tell us, in 100 words or less, about your favorite book and why you love it! Send via email to gonebookclubbin@gmail.com and look for your post on this page. I highly recommend the novel The Good Earth by Pearl S. Buck. The story is compelling and the writing is excellent. The novel illustrates the culture of Chinese dynasties and the lives of ordinary citizens as well as the powerful. The imagery and writing are exquisite and very thought provoking. This is the story of Wang Lung, a Chinese peasant. Born into poverty, he digs his field with a wooden hoe and drinks hot water because tea is too expensive. He has the hunger to own and work his land which outlives all other passions. The best part of this story is the description of Wang Lung’s relationship with his wife. Buck suggests throughout the novel tht while human success is fleeting, the earth endures forever. Ours is a world that too often tells us to tighten up. This novella narrated by Mr. Bones, a dog with an existential crisis, reminds us that this world is often wrong. Is it our interpretation of the world that is wrong? Probably. Either way, the situation is temporary. There are so many lovely things in this book that it is hard to pick just one. Mr. Bones actually serves as a repository for the words of his former master a “logomaniac” called Willy G. Christmas. I love P&P because it’s the ultimate happily ever after tale. Jane Austen didn’t know she created the template for all romance novels … old and new. Some of Austen’s best scenes represent hypocrisy at its best, and that always good for a laugh. The entire story shows us that the modern world continues to change, but human nature rarely does. The love story of Mr. Darcy and Elizabeth has captured people’s interest for centuries, and will go down in history as one of the greatest love stories of all time. Pride and Prejudice is a FREE Kindle ebook!